Engineers can fix anything they want, but it's not always the prettiest or most functional solution, check out top 20 of the best! Engineers are known to be able to fix anything, but sometimes their ideas of "fixed" aren't quite what you had in mind. From the most ingenious to some of the dumbest, here's our list of the top 20 best engineering fixes, check them out! This is definitely creative, although we're not sure that it will quite do the trick. Although, you would probably come out squeaky clean smelling like Mountain Dew. We have all been in this situation: you try and hook something up but you just don't have the right cables. 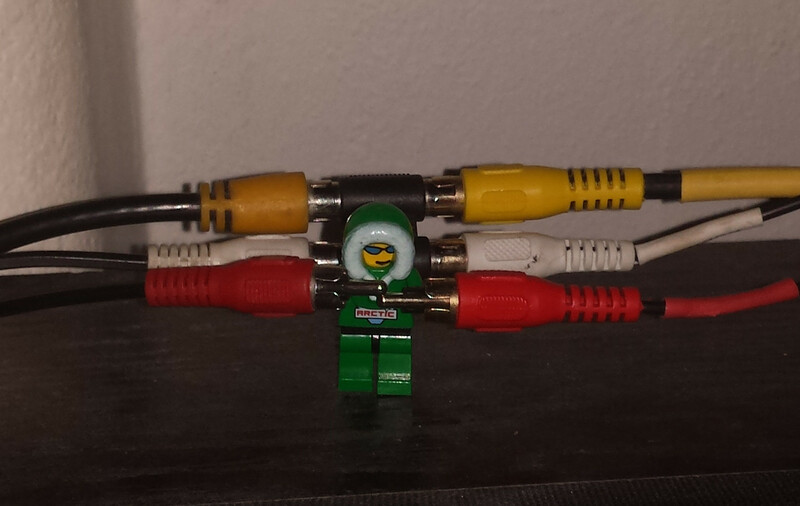 Well, this engineer took two male RCA cables and did the best he could with a little arctic lego guy. When you ask your engineer friend to make you something, sometimes they end up over-engineering it. 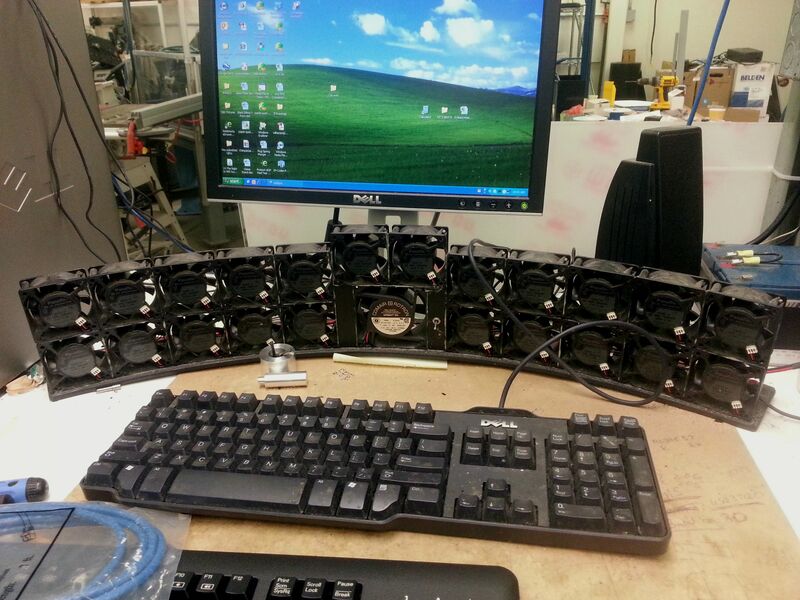 When you have 23 fans laying around, the real question you have to ask is why wouldn't you create a desk length mega fan? That box of cables lying around our house finally have a purpose! Just round up all your spare barrels and pots and attach an ethernet cable. Only a real engineer would spend hours making a bucket when he could pick one up from the store in 15 minutes. When something breaks, it sometimes takes some creative engineering to find a solution. 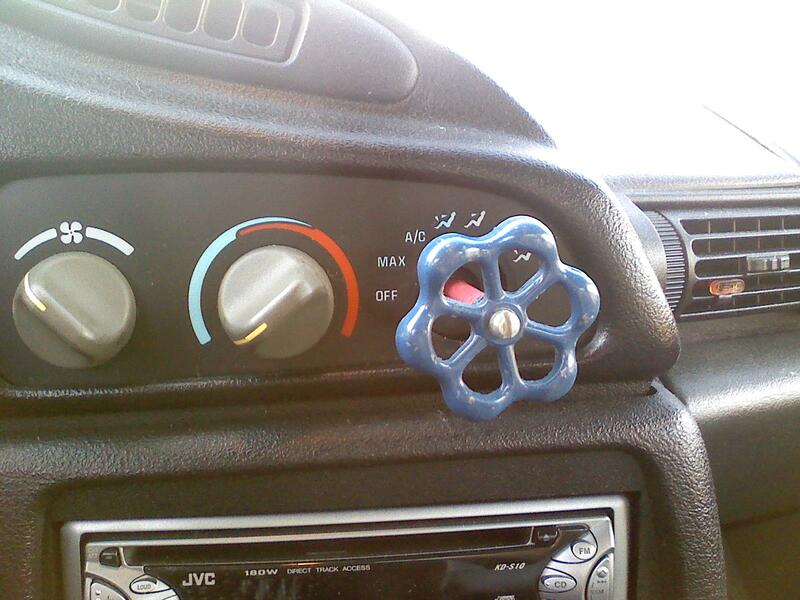 While were not sure that this knob will help the resale value, it technically still works to adjust the AC. This is probably not what your wife had in mind when she asked you to fix the broken toilet handle. Screams were probably the only thing heard from inside the cabin when passengers saw this maintenance worker putting tape on the plane's engine. 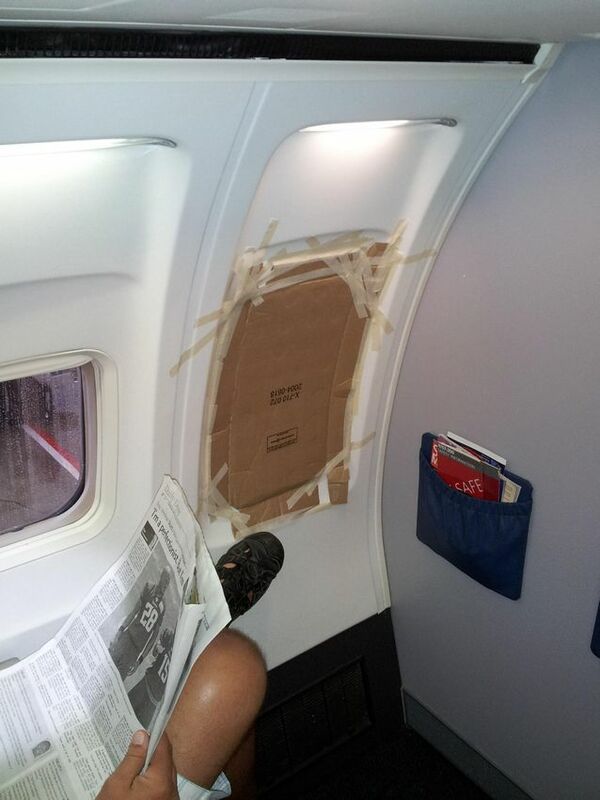 Surprisingly, this is a perfectly normal occurrence in the airline maintenance industry to fix quick repairs with "speed tape." "No officer, my headlight's not out, can't you see?" This fix probably won't fly too well on your next vehicle inspection, but if you stand about 20 feet away and squint your eyes real tight, it almost looks like a working headlight. Engineers are good at fixing things, but they aren't exactly the best at making their solutions look pretty, or let alone comforting. There's only one thing to do when your speedometer breaks but your tachymeter still works, vector graphics! This one is actually pretty creative and it has the corresponding speed depending upon what gear the car is in. When the doorbell is broken, typically you would think knocking would work fine. Nope, this engineer decided a bottle of rocks was a perfectly necessary solution. When your laptop screen breaks, why throw out a perfectly good computer? Just duct tape that thing to an external monitor and it'll be as good as new. On your next camping trip, be sure to pack plenty of apples. If you lose one of your tent connectors just shove an apple in there and call it good, we're sure it will hold, right? This engineer needs to go back to school and learn about some safety. Holding up a power line with a 2x4 and a mailbox so your truck can drive under is not the best idea an engineer has ever had, though it's definitely not the worst. Next time you get just a little bit too tipsy and break your wine glasses, don't worry, it can all be fixed with some broken pencils and rubber bands. 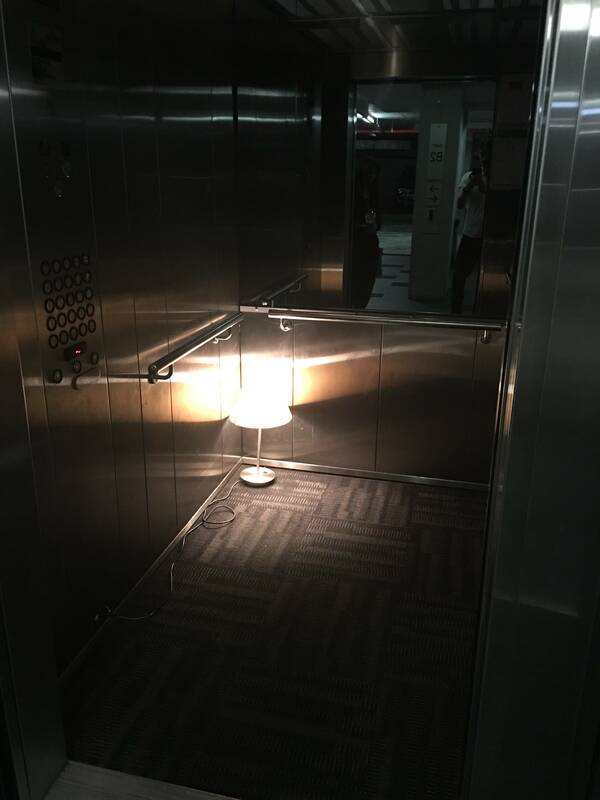 We're not sure if this was an engineer or just a really cheap landlord, but nonetheless, when the light in the elevator is out, you have to do something about it. One thing engineers are is stubborn, so when this one put his computer together wrong instead of correcting it he just cut out part of the case to make room! Not many engineers find time for a bath between the mountains of work but when they do, they solve problems you didn't even know you had. Now you never have to worry about dropping your thermodynamics textbook in the tub when you get some relaxing late night studying in. Engineers may make a lot of money after they graduate, but as college students, they're just as broke as everyone else. So when their cars break, it's sometimes the simplest solution that wins out. Velcro is a wonderful invention and this engineer discovered one of its more unknown uses, holding your laptop charger in.